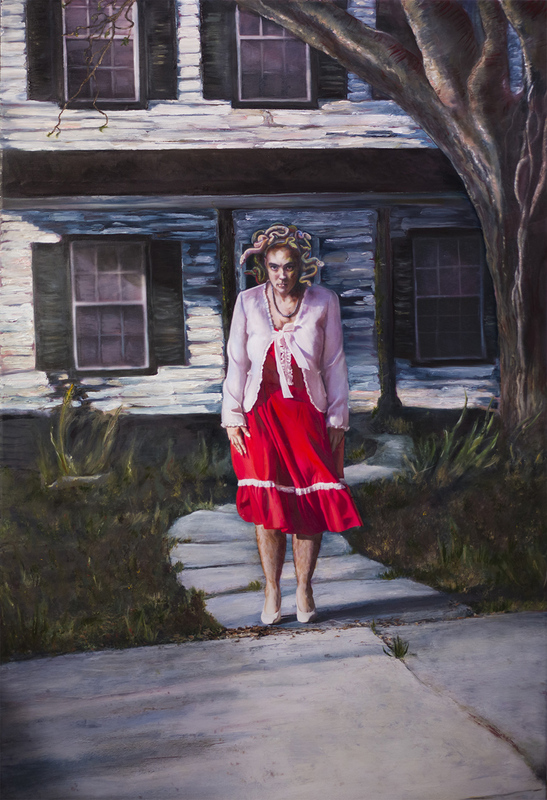 “Medusa, In Her Sunday Best” (36″x54″) by MANDEM, selected for the 27th Annual September Competition at the Alexandria Museum of Art in Alexandria, LA. MANDEM (Florida State University art student Maize Arendsee) has work appearing in the 27th Annual September Competition at the Alexandria Museum of Art in Alexandria, LA. The 27th September Competition presented by the Alexandria Museum of Art is a juried exhibition selected from national and international submissions highlighting contemporary art practices in all media. Featuring original art created within the past two years, artworks were selected for the exhibition from over 150 submissions by this year’s artist-juror, James Michalopoulos, and will be included in a full-color print catalogue. The reception and award ceremony will be held on Friday, September 5, 2014.